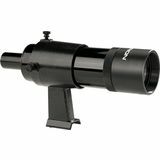 Aiming a telescope is a joy when using the Orion 9x50 Illuminated Right-Angle CI Finder Scope thanks to its easy-to-see crosshairs, big 50mm aperture, correct-image view and comfortable right-angle design. 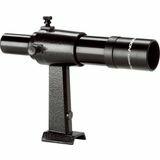 Looking for a comfortable way to aim your telescope? 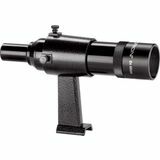 With the Orion 6x30 Right-Angle Correct-Image Finder Scope you get an upright, non-reversed image. 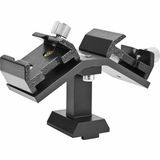 And the right-angle design lets you view without having to crouch or crane your neck. 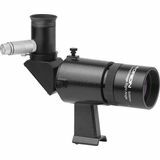 For easy aiming of bigger telescopes, the 9x50 Right-Angle Correct-Image Finder Scope shows you an upright, non-reversed image. And the right-angle design allows for comfortable viewing. 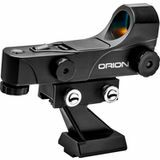 The Orion EZ Finder II Telescope Reflex Sight makes aiming your telescope easy. The red adjustable brightness LED dot shows you exactly where your telescope is pointed. 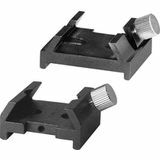 Includes a bracket that fits the dovetail mounting base on many Orion telescopes. 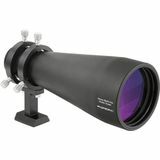 Need more light grasp through your finder scope? 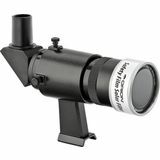 The Orion 9x50 Achromatic Finder Scope has a large aperture which lets you see fainter objects than with smaller finders. And with 9x magnification and crosshairs you will find your objects faster. 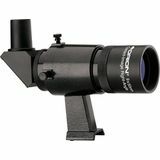 The Black 8x40 Orion Achromatic Finder Scope is an affordable step up from your standard 6x30. 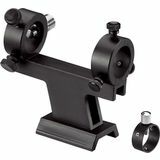 You get more power and aperture, and with the fully coated achromatic optics the image is bright and sharp. 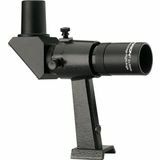 The Black 6x30 Orion Achromatic Finder Scope has a quality crosshair viewfinder that makes targeting celestial objects easy. 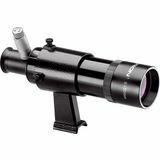 The four-element Plossl eyepiece provides 6x magnification and the fully coated optics yield excellent image brightness.